Brownman Revival tests the waters with Eto Pa! 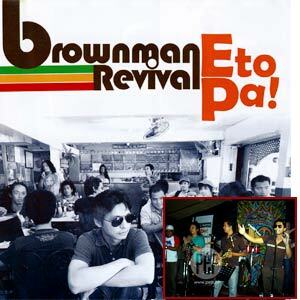 Local reggae band Brownman Revival returns with a six-track EP under Sony Music titled Eto Pa! The band recently launched the new album at the ’7os Bistro in Quezon City (inset photo). An EP (extended play) record actually has two purposes: 1) to present unheard materials to the listening public and 2) give fans some materials to cherish while their favorite band or artist is still busy finishing a proper LP (long playing) offering in the immediate future. And while modern technology has significantly altered how an album or single is being promoted by labels and individuals, some still prefer to use the old-fashion way of marketing their music to the masses. For local reggae group Brownman Revival, the decision to launch an EP composed of original materials appears to be an inviting vehicle for them to assess the path they want to take after being tagged as a cover retro band for a long time. "It was a collective decision with Sony Music na let’s do the EP first because we want to find out ’yong magiging direction ng music. This EP is our first all-original album and nag-produce din kami... It’s really a hands-on project," vocalist Dino Concepcion mentioned during a launching party at ’70s Bistro in Quezon City. Releasing a full-length album was actually the original plan. 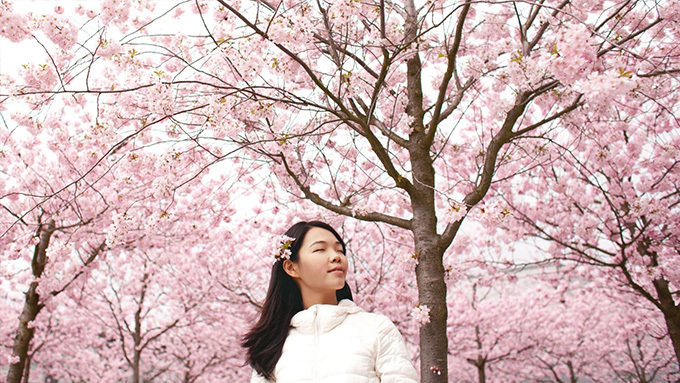 Situations and circumstances, however, prompted everyone to settle momentarily for an alternative option. ORIGINALS AND DUBS. Dino confessed about the band’s desire to break out from previous impressions that they are merely a competent musical bunch unable to write their own materials. A live sampling of the six songs that night revealed witty lyrics bouncing to the genre’s trademark skank. Brownman Revival, likewise, broadened its range by incorporating synthesizers and additional guitar effects to color the song’s tone. "Sa songwriting we tried to simplify the melodies at least mas harmonious siya, mas melodious," added Dino. The group also remixed two songs in the album to create new hybrids—a common practice of Jamaica-based bands to further stretch the potential of an existing melody. "’Yong last two songs diyan sa album kung mapapansin ninyo this is the first time that we did a dub mix. So dun sa mga aficionado ng reggae makaka-relate talaga sila. ’Yong mga dub versions ito ’yong mga pinaglaruan namin na bagong remix na halos instrumental nung ibang kanta. ’Yong dub kasi sa Jamaica, ’di ba, you have reggae tunes? Tapos ’yong ibang mga producers and musicians nagkaroon kasi ng trend na parng ginagawa nila tinatanggal nila ’yong mga vocals tapos pinaglalaruan nila ’yong mixing tapos papatugtugin nila sa mga dance halls so dun nagsimula ’yong trend." Now that the EP project is formally realized, Brownman Revival sets its eyes to the next big thing: a packed album still composed of original and never-before-heard tunes. Dino proudly announced that they have enough materials to accommodate a full-length disc. The nine-piece band had previously release two commercial albums in the past, namely Steady Lang (2005) and Ayos Din (2007). Eto Pa! in the meantime will serve as a welcome appetizer to the fans hungry to hear something new from the local reggae band. "Ito ’yong patikim," said Dino with a grin. "A preview of things to come."